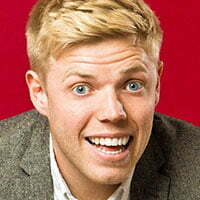 UK pubcaster Channel 4 (C4) has ordered a show fronted by comedian Rob Beckett that explores the world of gaming over past decades. Rob Beckett’s Playing for Time (4×30’) is being produced by the UK’s Rumpus Media and will launch in partnership with retail group Game. The show was ordered by Jonny Rothery, commissioning editor for formats at C4. The executive producers for Rumpus are Emily Hudd and Iain Wimbush. Beckett and guests will be led through eras such as the 1980s and 1990s by fellow comedian Kerry Godliman as they try to complete a level of a game from each decade.